After their Fourth of July festival was cancelled in the wake of Friday's massive storm and the resulting widespread power outages, Gaitherburg is trying again and rebranding its festivities as "Finally, Fireworks." You'll find it at the Montgomery County Fairgrounds (16 Chestnut St., Gaithersburg, Md.) on Friday, July 13. Gates open at 5 p.m., and a two-hour concert by Bobby and the Believers gets going at at 7:30. 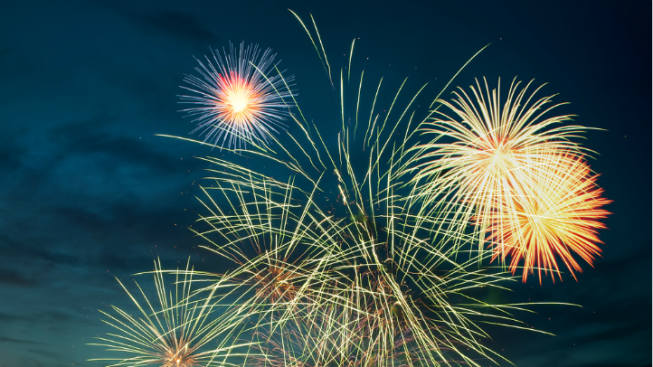 Fireworks will light up the sky starting around 9:25 p.m.
Feel free to bring in your own food (although not glassware or alcoholic beverages) and picnic blankets, or purchase goodies from vendors. Note: Enter at Chestnut or Dalamar Streets; the Perry Parkway entrance will be closed.